Do you notice that you may sometimes have bad breath, even though you brush and floss your teeth twice a day? 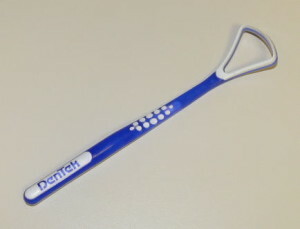 The problem isn’t necessarily your brushing technique, but may in fact be that you aren’t cleaning your tongue properly. Here’s what you need to know about why you should be paying more attention to the cleanliness of your tongue and how to do just that. Why is my tongue so important? The tongue is a major feature of the mouth and makes it possible for us to eat and articulate our speech. Without it, we would not be able to taste anything, whistle a happy tune, tell someone about our day, or chew and swallow efficiently. It is such an integral part of our lives, used constantly every day, and yet most of the time we fail to give it a second thought. You may have heard that the tongue is a muscle, but that is only partly true. The tongue is actually a group of muscles with each one having a specific job. At the tip of the tongue is a small muscle that can move quickly and uses the surface of the teeth to create certain sounds of speech, such as when pronouncing the letter ‘L’. 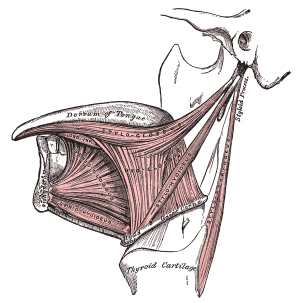 This muscle also moves food from the front of the mouth to the back where it can mix with saliva and break down into swallowable bits. Other muscle groups in the tongue help to change the shape of the tongue and move it up, down, side-to-side, in, and out. The muscles at the back of the tongue make it possible for us to articulate what are known as hard sounds of speech, such as the letter ‘K’ and ‘G’. They also move food that’s ready to swallow into the esophagus in small and controlled amounts so we don’t choke. Aside from looking extra dapper, you mean? Just like bacteria builds up on and in between your teeth, hardening into plaque and tartar if not removed, bacteria also builds up on your tongue. 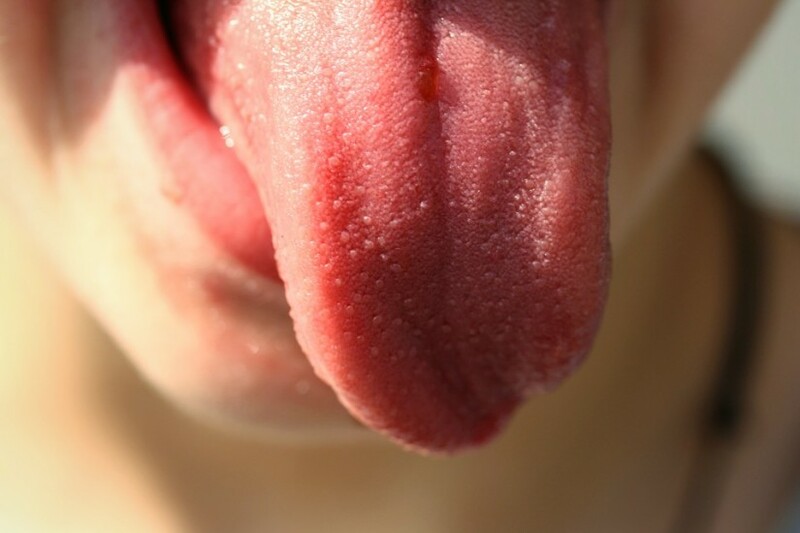 The surface of your tongue is covered in tiny bumps called papillae, and within the grooves of these bumps collect bacteria, dead skin cells, and food particles. 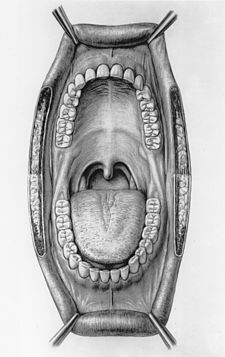 This is then covered by a thin layer of mucus which coats the fleshy parts of the mouth. The bacteria and other debris trapped on the tongue can cause bad breath, or halitosis, and a white discolouration of the tongue. In addition, the bacteria on the tongue can redeposit onto teeth and gums, even after they’ve been cleaned, increasing the likelihood of plaque and tartar buildup. So how do I clean my tongue properly? There are two main ways to properly clean your tongue: brushing and scraping. Brushing your tongue involves gently scrubbing your tongue from back to tip with a moistened toothbrush. You can do this most effectively while brushing your teeth by spitting out excess toothpaste after cleaning your teeth but before rinsing so that your mouth and toothbrush still have toothpaste residue on them. Then gently scrub your tongue, cheeks, and the roof of your mouth before rinsing to reap the protective benefits of the toothpaste and get an all around clean. 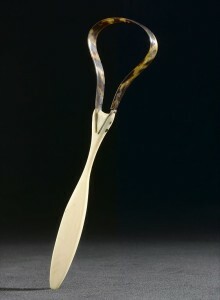 If you’d prefer a different or additional tongue cleaning method, try out a tongue scraper. These devices can be found inexpensively at most drug stores. They’re designed to glide along the surface of your tongue, taking off the tongue’s layer of mucus, as well as the bacteria and debris it traps. To use most effectively, place the scraper at the back of the tongue while sticking your tongue out and, with even pressure, slide the scraper down along the tongue’s surface towards the tip. Rinse the scraper and repeat, making sure to move from the back of the tongue to the tip so as to not to accidentally ingest the bacteria being removed. Once the whole surface of the tongue has been scraped, thoroughly clean and dry the tongue scraper, and brush and floss your teeth as normal. How often should I clean my tongue? Cleaning your tongue should be a part of your daily oral health routine. Bacteria begins to build up on the surface of teeth, gums, cheeks, and tongue very soon after brushing, so a daily tongue cleaning, just like regular brushing and flossing, is an important step in warding off oral health issues. What if it hurts or I gag when I clean my tongue? If you find that cleaning your tongue daily is resulting in discomfort, you may be scrubbing or scraping too vigorously. The pressure needed to clean the tongue is no more than the amount needed to lightly hold your toothbrush or tongue scraper in place on your tongue. Your tongue is made up of delicate skin which can become inflamed or painful when irritated, so if you are feeling discomfort, hold off on cleaning your tongue for a day or two until the skin of your tongue can restore itself and then try again with a much more gentle approach. If the discomfort is due to a wound or sore, refrain from cleaning your tongue until the issue has healed as scrubbing or scraping the area will irritate it and may even cause more damage. Also, if this is the case for you, be sure to visit your dentist for further advice and to ensure that what’s hurting you is not part of a larger health issue. 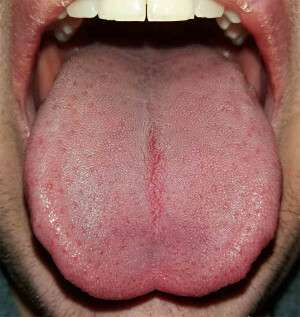 Cleaning your tongue can be a challenge for those who have a very sensitive gag reflex as touching the back of the tongue can sometimes trigger involuntary gag responses. If this sounds familiar to you, try out tongue cleaning slowly to get yourself used to the sensation. A trick of the dental trade is to stick out your tongue and, when you are about to touch a sensitive part, relax the tongue completely while exhaling fully. Exhaling generally overrides the gag reflex and allows you to go about your business without having to worry about unpleasant and involuntary gag responses. If you still have questions, that’s okay! Make an appointment to have a chat with your dentist. It is always best to talk to your professional dental health care provider before changing your oral care routine. Your dentist knows you and your mouth best and will be able to advise what is best for both. If you do not have a dentist and are looking for one who best suits your needs, be sure to check out 123 Dentist where we can match you with your ideal oral care provider.